Who is a Candidate for Permanent Eyeliner? Permanent eyeliner reduces or eliminates the daily application of eye pencils or liquid liners. It improves the definition and appearance of eyes with missing, thin, or light colored lashes. It provides safety and convenience for women with oily skin, vision problems, or unsteady hands. Ladies can swim, shower, or exercise without smudged “raccoon eyes”! Eye doctors (Ophthalmologists and Optometrists) recommend permanent eyeliner to patients with contact lenses, watery eyes, or conventional makeup allergies. When done well, this procedure can enhance eye color and make lashes appear darker, fuller, and/or thicker. Naturaliner™: This is also called “Eyelash Base Enhancement” or “Tight Liner” and is a subtle and natural look. Pigment is implanted in the skin only at the base of the lashes in-between rows. This makes the lashes appear darker and fuller to “frame” the eye. However, no obvious line is seen on the eyelid beyond the lashes. Naturaliner™ can be done on upper and/or lower eyelids. Men choose this procedure to add definition to their eyes without looking like they are wearing makeup. Full Eyeliner: This method creates a definite line above the last row of eyelashes on the upper eyelid or below the last row on the lower eyelid. The liner tattoo can be seen even when the eye is closed. Eyeliner width can be thin, medium, or thick depending on style preference. Designer effects such as wings, flicks, or layered colors may also be added. Every eyeliner procedure done by Dr. Reed includes an eyelash base enhancement (Naturaliner™) to prevent a “flesh-colored gap” of missing color within the lash line. Full eyeliner can be done on upper and/or lower eyelids, or mixed with Naturaliner™ (e.g. full eyeliner on upper eyelid with Naturaliner™ on lower eyelid). Eyelid Anatomy vs. Eyeliner Design: Certain styles and effects (e.g. thick liner or wings) are not suitable for some eyes based on their anatomical structure (e.g. hooded eyelids) or the person’s age. Dr. Reed will analyze eye anatomy and make recommendations for the safest design that is flattering. Mucosal (Wet Line) Eyeliner: Some permanent makeup technicians will tattoo the rims eyelids, but Dr. Reed will NOT because it is UNSAFE! The openings to the Meibomian Glands are found along the mucosal/wet line of the eyelids. Those glands produce a necessary component of the eye’s tear film. The glands can be permanently scarred by tattooing which leads to chronic dry eye, infections, etc. Is a License Required to Do Permanent Eyeliner? In Idaho, there are NO laws regulating tattooed eyeliner makeup—anyone can do it anywhere with little to no training or experience! There are NO minimum required hours for initial training or continuing education. There is NO testing, NO licensing, and NO oversight of instructors. This has allowed an increase of “permanent makeup artists” in beauty and nail salons. Some are “microblade only artists” who try to apply what they learned in a 2-day eyebrow class to an eyeliner procedure! Because those artists were told they are “certified”, they work on clients thinking they know everything. 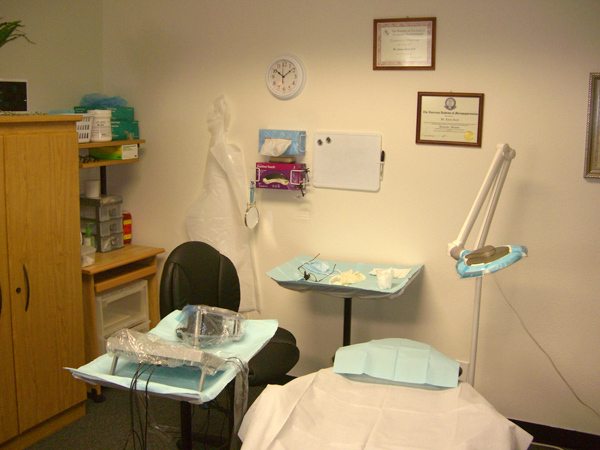 But they have no comprehensive permanent makeup training covering subjects like the science of pigments, color theory, eye and skin anatomy, pain control, types of equipment, needle configurations, makeup design, facial morphology, and bloodborne pathogen (disease) control. Since permanent eyeliner IS a form of tattooing, a client’s skin is broken exposing the artist to blood. Then you, as the next client, are exposed to the blood of the person tattooed or microbladed before you IF that artist does not sterilize correctly or makes one simple mistake! Artists may be taught a little about bloodborne pathogen control during a short class, or they take an online course to get a certificate. However, there is a LOT to know about preventing disease cross-contamination. Any artist without years of experience or a medical/dental background can easily make errors. As a retired Optometric Physician, Dr. Reed’s infection control knowledge and methods are routine and unsurpassed. Before moving to Idaho, she practiced permanent cosmetics in California and was inspected annually by the Orange County Health Department. Here in Idaho, even though “no one is watching,” she follows the same correct standards! Yes and her credentials are recognized worldwide. She is a Certified Permanent Cosmetic Professional and Lifetime Member of the Society of Permanent Cosmetic Professionals. She is also a Board Certified Fellow in the American Academy of Micropigmentation and takes advanced eyeliner continuing education classes to maintain her certifications. In addition, she is qualified and experienced in the removal and/or lightening of inferior eyeliner done by manual hand tool (e.g. SofTap) or machine methods. Why Choose Dr. Reed Over Someone Else? Think about it…Would you rather have a needle by your eye in the hands of someone who also cuts hair, does manicures, massages, sprays tans, or waxing? Or a retired EYE DOCTOR who does nothing else but permanent makeup procedures every day? When you have the facts, the choice is easy! 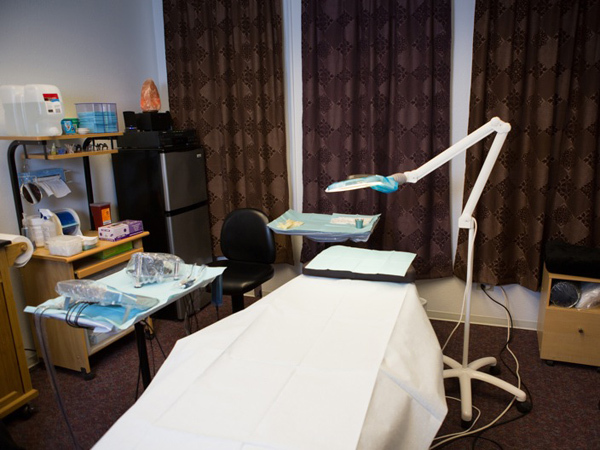 Since 2006, Dr. Reed has performed over 7,000 cosmetic tattoo procedures. As an Optometric Physician, she knows how to safely handle the eyes and prevent eyeliner procedures from being painful. She has successfully tattooed eyeliner on patients before/after eye surgeries as well as patients with chronic eye conditions. Examples include: Alopecia, Blepharitis, Blepharoplasty, Cataracts, Corneal Erosion, Corneal Grafts, Dry Eye Syndrome, Glaucoma, Intraocular Lens Implants, Keratitis, Keratoconus, LASIK, PRK, Punctual Plugs, Reconstructed Eyelids, Retinitis, RK, and Sjogrens Syndrome. You will fill out forms including a medical history that Dr. Reed will review for potential complications. She will analyze your eyelid anatomy then recommend an eyeliner style. She will discuss color choices that match your eye makeup (if desired) and compliment your skin and eye color. Topical anesthetics will be applied before and during the procedure to minimize any discomfort. Before and after photos will be taken for your file and pigment colors will be recorded for returning visits. Your eyelids will be slightly red, mildly swollen, and a little tender immediately after your procedure. This will go away within a few days. Your new eyeliner will look darker, bolder, and thicker than you want, but it will lighten and “shrink” during healing. During the first week of healing, you will apply an ointment. While healing you cannot wear mascara or eye shadow, and you must also avoid swimming, saunas, the sun, etc. so keep this in mind when scheduling your procedure. Dr. Reed will go over detailed after care instructions at your appointment.